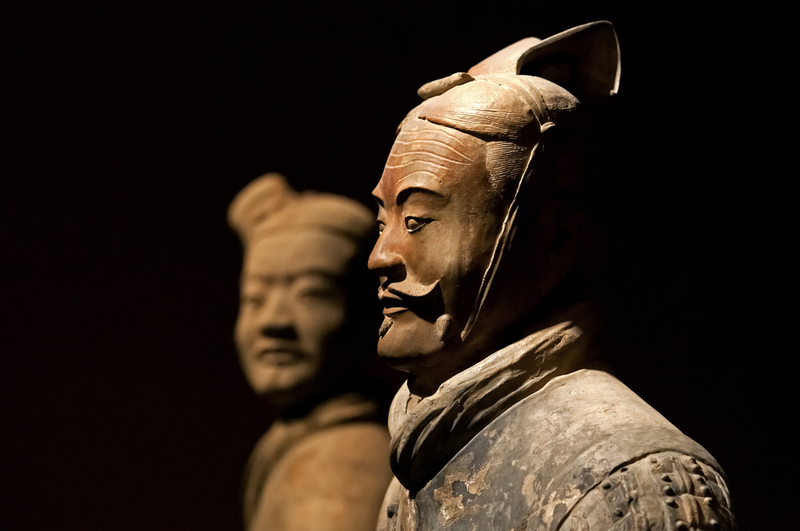 The famous Chinese Terracotta Army figures currently exhibited at the Museum of Islamic Art in Doha might have been made by ancient Greek artists. Chinese archaeologists have made some recent discoveries that suggests that the famous Terracotta Army might have been made by ancient Greek artists 1,500 years before Marco Polo. The theory comes with the discovery of European DNA in China’s Xinjiang province from the time of the First Emperor in the third century BC, along with the sudden appearance of life-sized statues. Before that period, most Chinese depictions of humans where only up to around 20 cm in height, So the 8,000 life-size Terracotta Army statues around the tomb of China’s unifier and first Emperor Qin Shi Huang, left historians somewhat confused. The theory is that Emperor Shi Huang and the Chinese artists from the era might have been influenced by the arrival of Greek statues in central Asia, a century after Alexander the Great led his army into India. Another theory suggests that Greek artists might have even been present when the Terracotta Army was made, and were instructing the local artists in Greek sculpture. You can learn more about the army and their link to the ancient Greeks in the documentary “The Greatest Tomb on Earth: Secrets of Ancient China”, which will be shown on BBC Two this weekend. A selection of Terracotta soldiers, along with some 116 relics from ancient China have been on exhibition at the Museum of Islamic Art in Doha since September 7, and will remain open for the public until January 7 next year. The exhibition is part of Qatar’s year of cultural exchange with China, which will be concluded with a Chinese festival next month.